Celtic were in a state of disarray when Johannes Edvaldsson arrived in Glasgow to sign for them in July 1975. 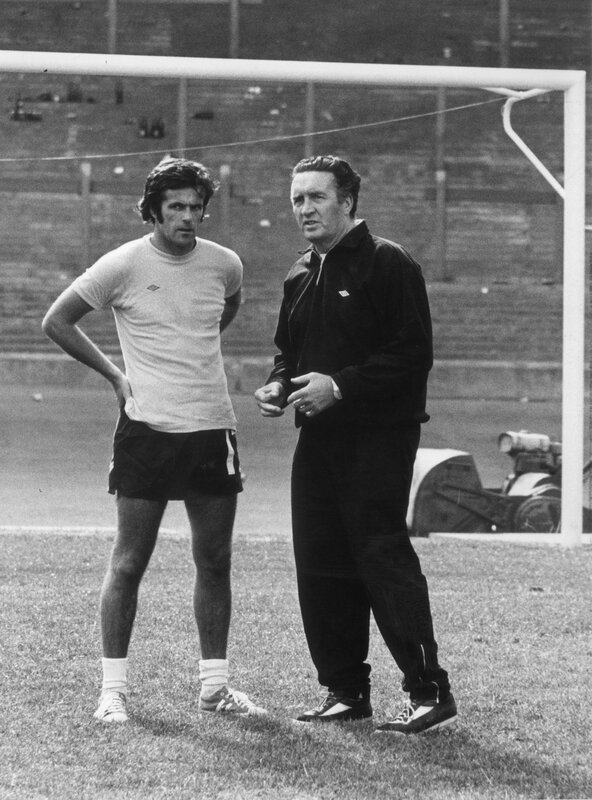 Jock Stein had just been seriously injured in a car crash and was to miss the entire 1975-76 season with Sean Fallon taking control of team affairs. Billy McNeill, Jimmy Johnstone and Jim Brogan had also departed, leaving a huge void to be filled in their absence. Celtic needed players urgently and Edvaldsson was a most welcome arrival. He was an Icelandic international who had been playing in Denmark and initially came on a short term contract to see if he could settle. He was an exciting signing as Celtic had not regularly fielded a non British/Irish player for decades. Upon his arrival, the Celtic fans christened Johannes with the nickname, ‘Big Shuggie’, which was a popular nickname in Glasgow. This was a moniker which would stay with Edvadsson throughout his time at Parkhead and remains with him until this day. 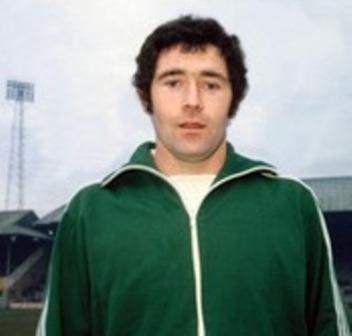 Shuggie made his debut against Derby County on a warm summer’s afternoon in August 1975. Derby were the reigning English champions and arrived with a host of international players such as Roy McFarland, Colin Todd, Charlie George and Bruce Rioch. 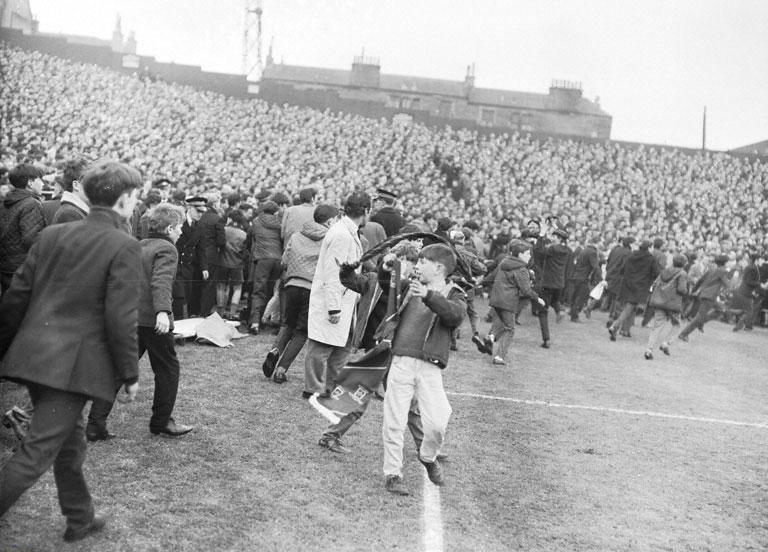 Celtic won 1-0 with Edvaldsson making a fine impression by scoring the winning goal in front of a 44,000 crowd. 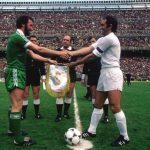 Season 1975-76 was a transitional period for Celtic and was ultimately a disappointment. Kenny Dalglish and Danny McGrain were Celtic’s two truly class players but Shuggie had made a great impression by playing mainly in midfield and scoring 12 goals. The highlight of the season was the spectacular 7-2 win against Ayr at Somerset Park when the big Icelander scored a hat trick. Although he was a tall, imposing individual, he had a delicate touch for a big man and had more skill than he was sometimes given credit for. When Jock Stein returned in the summer of 1976, Shuggie found himself on the periphery of the team. A young Roy Aitken was given the midfield enforcer role that Edvaldsson had previously filled with Roddy MacDonald and Pat Stanton forging a magnificent partnership in central defence. Because of this Shuggie’s opportunities were limited but he did have a fine end to the season. In the 1977 Scottish Cup final, Stein changed tactics after an injury to Ronnie Glavin and employed Edvaldsson and Roddy MacDonald as twin centre halves with Pat Stanton deployed as sweeper. The new line up worked perfectly with Celtic emerging victorious by 1-0. Season 1977-78 was a complete disaster for Celtic. After Kenny Dalglish departed to Liverpool, Danny McGrain, Pat Stanton and Alfie Conn all suffered long term injuries. 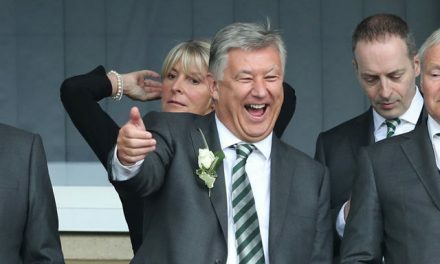 No trophies were won and the Celts could not even manage a place in Europe. Despite these setbacks Shuggie had a fine season. He proved to be a versatile player, performing well in defence, midfield and attack at different stages of the season. He also finished second top scorer with 14 goals, behind Joe Craig with 16, which was a terrific effort from a player not noted for scoring goals. When Billy McNeill took over in the summer of 1978 he settled on a central defensive partnership of Edvaldsson and Roddy MacDonald for that season. Things looked bleak at the new year but after Danny McGrain returned to the team after a long absence, a magnificent run of form culminated in Celtic sensationally winning the league, by beating Rangers 4-2 in their final game. 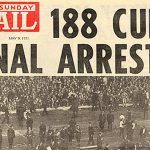 They also won it by playing a large chunk of the game a man shot after John Doyle was sent off. Shuggie can be rightly proud that he was part of the ‘ten men won the league’ side which has now become part of Celtic legend. Shuggie lost his place at the start of the 1979-80 although he still made sporadic appearances. 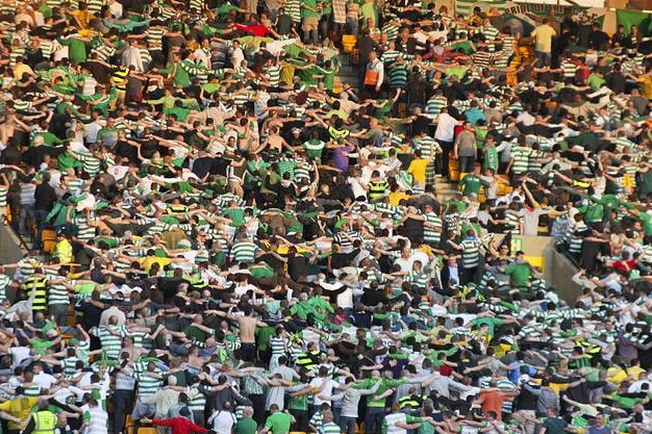 In October Rangers were holding Celtic at 0-0, with time running out on Celtic’s increasingly frantic attacks. 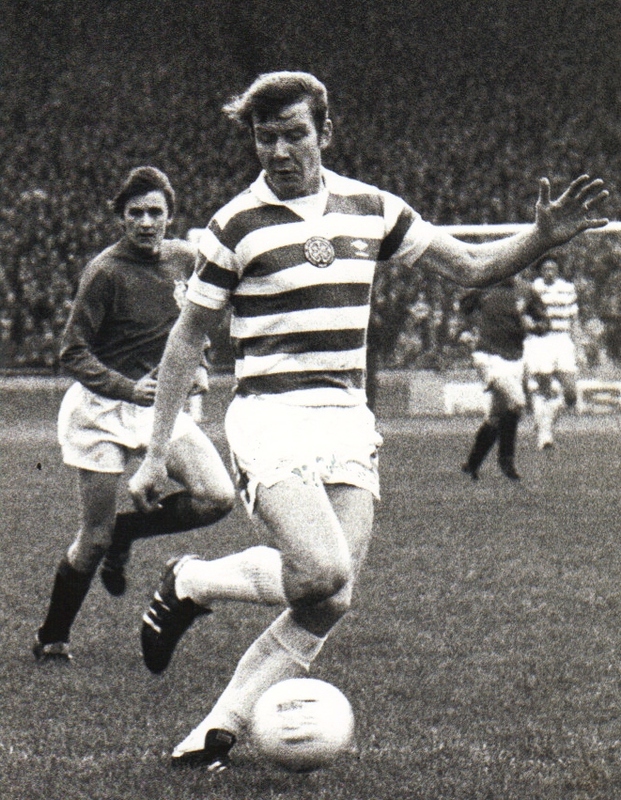 Billy McNeill brought the big man on as a substitute and he almost scored immediately. From the resulting corner, Davie Provan swung over a perfect cross for Roddy MacDonald to score the winner, as Rangers’ defenders were all too busy marking Edvaldsson. Shuggie moved on in early 1980 to continue his football in the United States with Tulsa Roughnecks. 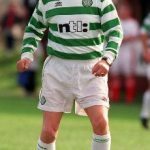 He remains an enduring and popular character who will always be held in high regard by those who saw him play in the hoops.